I was researching for my client how to add social networking buttons to Outlook email and found this easy step-by-step guide in Slideshare. It is very helpful, especially for executives with little time. 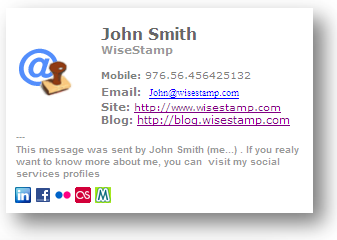 For those with Gmail and other web hosted email, check out Wisestamp. WiseStamp enables you to create effective and customized email signatures on any webmail service (Gmail, Yahoo!, Aol mail, Hotmail). You can also add neat apps like a link to your most recent blog post. WiseStamp is currently available for you to use on Firefox , RockMelt or Google Chrome browsers as well as in Thunderbird 3 email client. 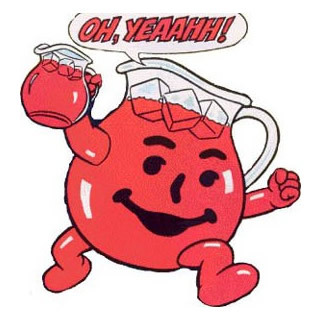 They are working on IE, Safari and other browsers, email client support.